Kyle Busch has been dominating NASCAR so far this season, and that supremacy is expected to continue this week at the Toyota Owners 400. Busch is the overwhelming 2/1 favorite at Richmond Raceway, the best odds for any driver this year. Busch has won three times this season, including last week’s Food City 500. In the five other races his worst finish is 10th. He has been equally dominant at this track, with six career wins, including two last year. In six of the last seven races at Richmond he has six Top-10 finishes. 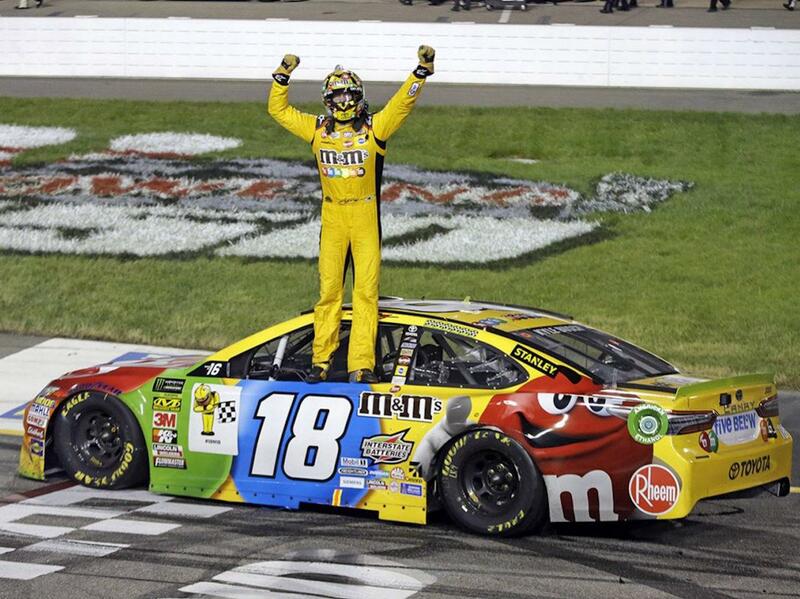 Busch has become the six driver since 2000 to win three of the first eight races. Kevin Harvick did it last year, Jimmie Johnson in 2007 and 2010, Carl Edwards in 2008 and Dale Jarrett in 2001. Busch told ESPN that this season has been a continuation of a satisfying career. Drivers will be under the lights on Saturday night at Richmond, and Clint Bowyer told Vegasinsider that it is a new track, but with a retro feel. Busch talked about the mindset drivers have when they are on the short layout. Four drivers are behind Busch at 7/1; Harvick, Brad Keselowski, Joey Logano and Martin Truex Jr. Denny Hamlin, who has won two times this year is at 10/1. Harvick has yet to win a race this year, after grabbing three at this point in 2018. The 43-year-old has three wins at Richmond in his career and seven top-10 finishes in his last nine races. Hamlin has won three times at Richmond, to go with 11 top-fives. He also is tops among active drivers with 1,659 laps led. Plus Richmond is his home track.